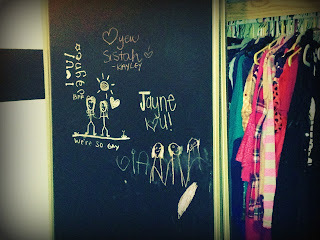 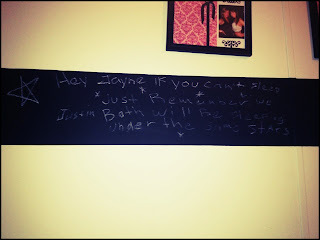 I love chalkboard paint and I decided to paint the walls on my closet with it as well as a border around the wall. Once it dries you are ready to start drawing. The chalkboard paint is especially good for kids rooms, kitchens, or any wall to make a calendar or a to-do list.